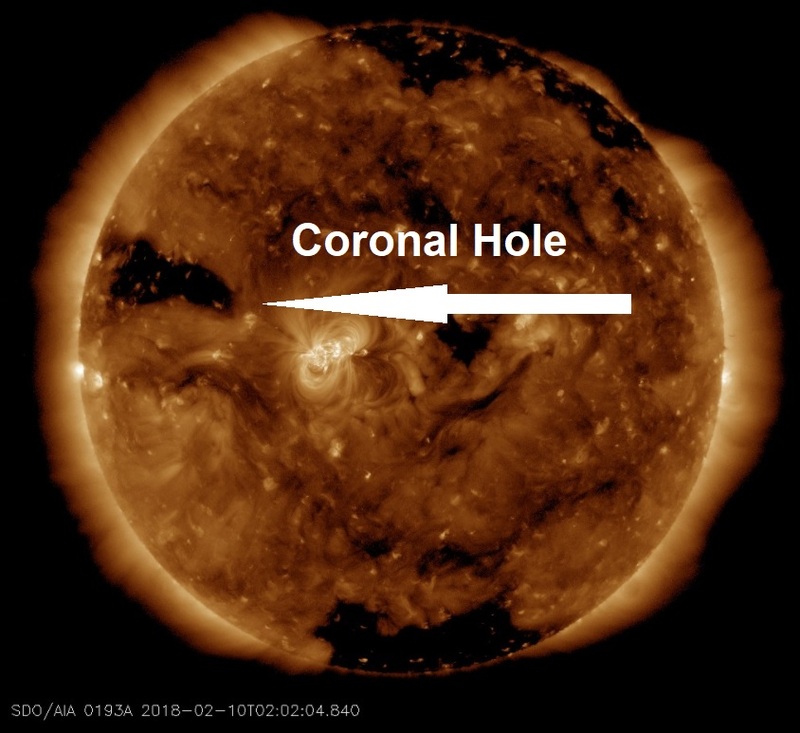 Another massive coronal hole is emerging over the sun's eastern limb. Solar wind flowing from the gap is expected to reach Earth on Feb. 15-16, according to Spaceweather.com. With 15 major quakes from 16 occurring this year during coronal hole activity on our Sun and 13 of them along The Pacific Ring Of Fire and a similar amount of rumbling volcanoes, the coming days will most probably bring some fireworks, I would wager a major quake or two is a certainty. Apart from an isolated M-class flare in October 2017, and four X-class flares in September 2017 our Sun has gone into a slumber. However, with coronal holes coming thick and fast the Sun is anything but boring!